It sounds like some in crowd are still doing the "Gruuuu" for Grubauer after each save. Holtby replaced him to start third. Only one shot on goal for Blue Jackets on that PP. Now some fans are chanting "Holtby!" It's 10:10 into overtime. We have a break for shoveling of excess snow. Shots on goal are 4-1 for Capitals in OT. Wilson shanked shot from left circle on feed from Kuznetsov. Initial shot from Werenski in right circle and Calvert put in rebound from right post with 7:38 left in OT. But play is being reviewed. 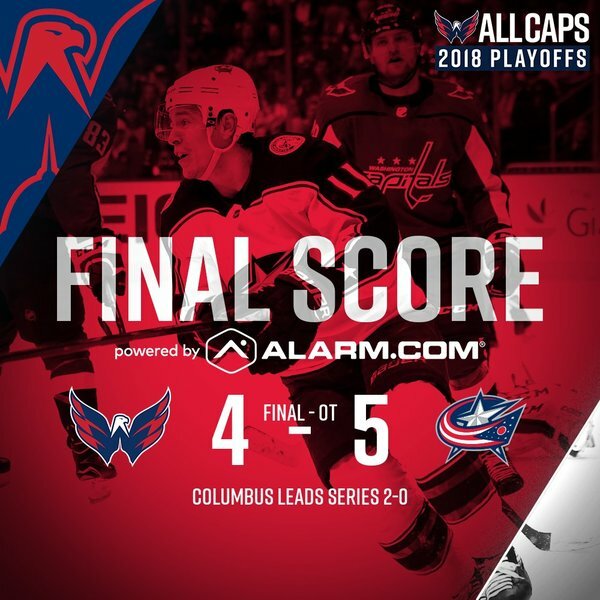 WTOPThe Columbus Blue Jackets overcame two goals from Alex Ovechkin to beat the Washington Capitals 5-4 in Game 2 on Sunday night to take a 2-0 lead in their first-round playoff series. 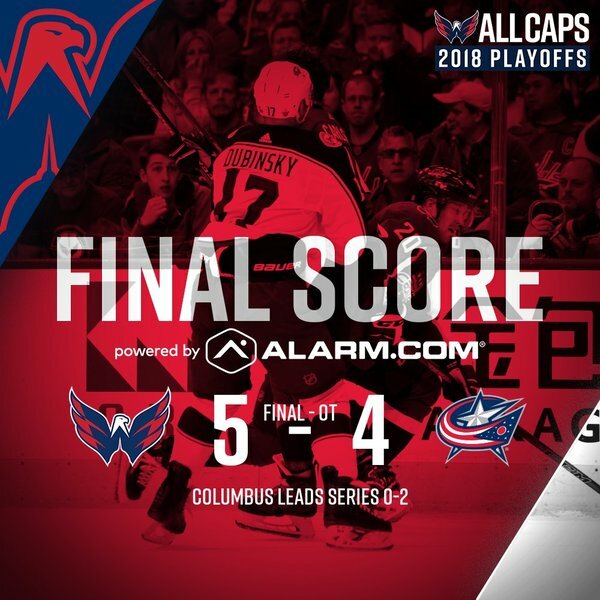 Burakovsky will not go with Caps to Columbus. Out for at least next two games with upper body injury. Caps coach Barry Trotz said on a conference call that he has decided on a starting goalie for Game 3 in Columbus, but hadn't told goalies yet, so he wasn't ready to goal public. 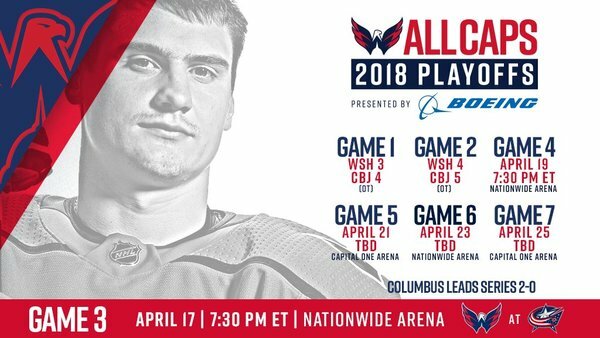 #Caps Andre Burakovsky is out with an upper-body injury and will not travel with the team to Columbus for Games 3 and 4. Big news from Devils land with Cory Schneider getting the starting net tonight vs. Tampa Bay and Marcus Johansson returning to lineup from a concussion. Washington heads out on the road to turn the series around in Columbus. Game 3 tomorrow night from Nationwide Arena. Shot attempts in Capitals-Blue Jackets Game 2 were 103-55 for Caps and they're usually not a team that shoots the puck a lot (last in NHL in SOG regular season). 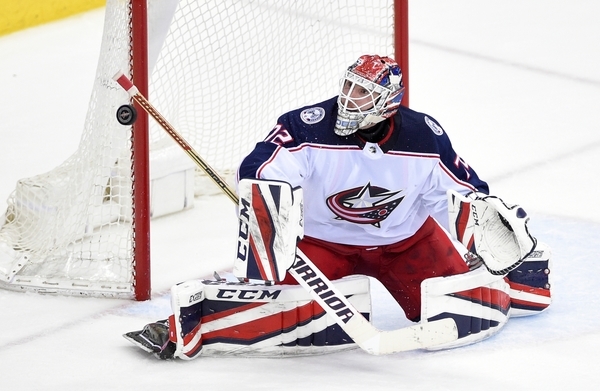 If you didn't know already how good @KevinisInGoal is at scouting goalies, look at his pre-series report on Caps-Blue Jackets. He pointed out a tendency on setup on Grubauer's glove side -- where 5 of Columbus' 8 goals against him were scored. Tremendous few months for U.S. women's running. After Shalane Flanagan won NYC Marathon in November, Desi Linden won Boston Marathon today. First American woman to win since 1985. U.S. women took seven of the top 10 spots. Flanagan, of Marblehead, Mass., finished sixth. Was talking about this last night with @WaltonCaps , who will have the play-by-play on Devils-Lightning Game 3 tonight on CNBC. 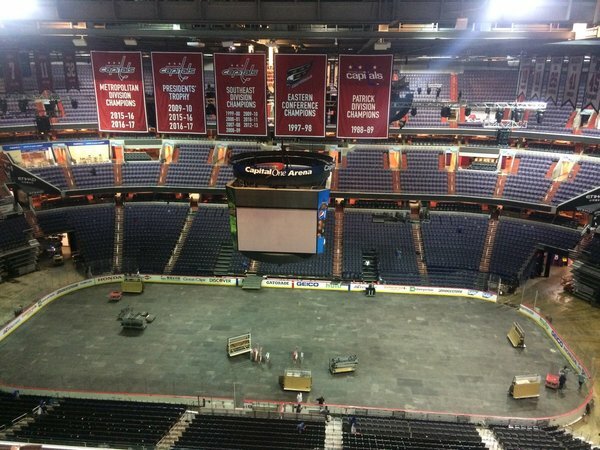 Devils' last home playoff game before tonight was Game 5 of 2012 Stanley Cup Final. The winning goal was scored by ....? He'll be in the building tonight for MSG (I think).